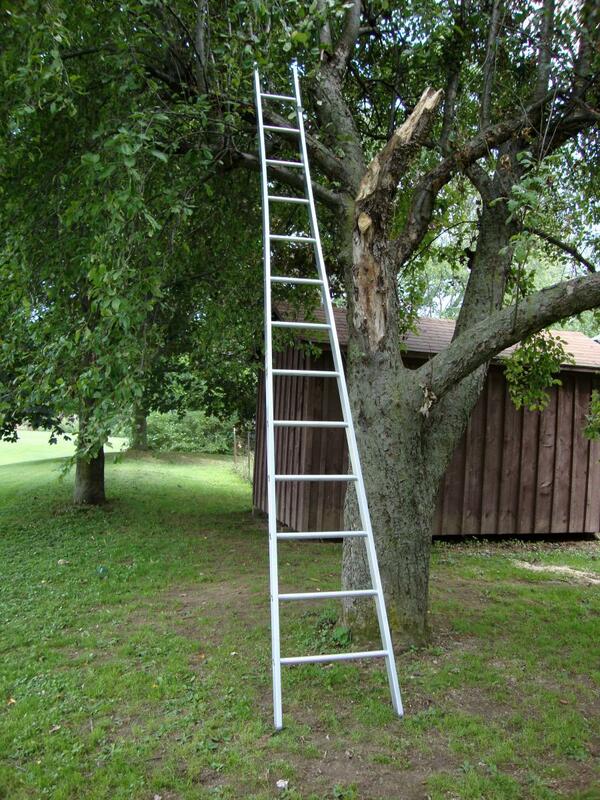 Our open top orchard ladder is designed to access hard to reach places while giving you the stability you need to harvest your fruit. 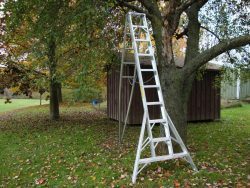 Our open top orchard ladder is designed to access hard to reach places while giving you the stability you need to harvest your fruit.The Box Girder 2-1/2″ x 1″ side rails provide the utmost in rigidity and side sway stability. This year make your harvest season safer and more efficient with Metallic Ladder. 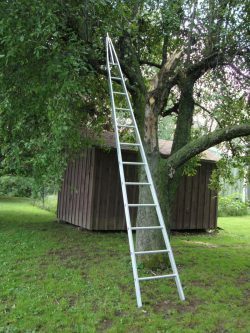 Also available in a pointed top, or tripod stepladder design.